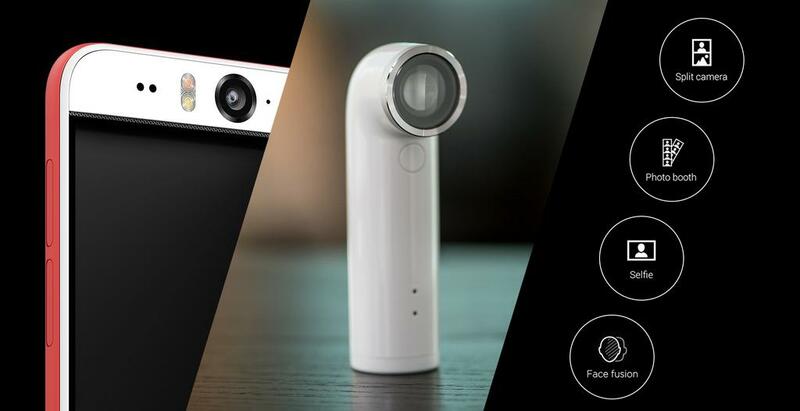 Two days ago, HTC announced the Desire EYE with an emphasis on front-facing camera features, not only through its 13-megapixel autofocus camera with dual-tone LED flash but also with some special software features in the form of Eye Experience. 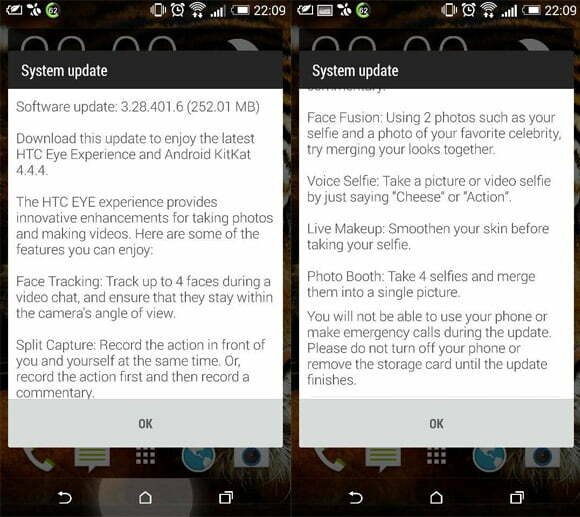 Today, they’ve brought the Eye Experience to the HTC One M8 along with Android 4.4.4 KitKat update. The Eye Experience comes with some interesting camera modes such as the ‘Split Camera’ mode which takes a 50:50 split image from the front camera and the rear camera. There’s also a mode which takes four selfies after you say “cheese” or “action” and then merges those images into a single photo using Photo Booth. The Android 4.4 KitKat update (version 3.28.401.6) with some security fixes, which has a files size of 252.01MB, has slowly started rolling out to HTC One M8 in Europe and might hit other countries in coming weeks.